Bumrah returned second-best figures (6/33) for an Indian bowler in Australia after Kapil Dev's 8-106 at Adelaide in 1985. At the end of day three, India, after bowling out Australia for 151 in response to their first innings total of 443/7 declared, took a 346-run lead. The visitors were struggling at 54/5 in 27 overs in their second essay but had the upper hand. Debutant Mayank Agarwal (28 batting), who scored an impressive 76 in the first innings, and Rishabh Pant (6) were at the crease after 15 wickets fell in all on an exciting day. In their second innings, India were jolted by Pat Cummins (4-10), who took four wickets for two runs in the space of 19 balls, including Virat Kohli (0) and Ajinkya Rahane (0) caught off successive balls. Rohit Sharma (5) prevented his hat-trick, but fell before end of play. This was after Bumrah’s outstanding effort handed India a 292-run lead. Bumrah returned second-best figures for an Indian bowler in Australia after Kapil Dev’s 8-106 at Adelaide in 1985. But he surpassed B Chandresekhar’s twin hauls of 6-52 in each innings at this ground in 1977. 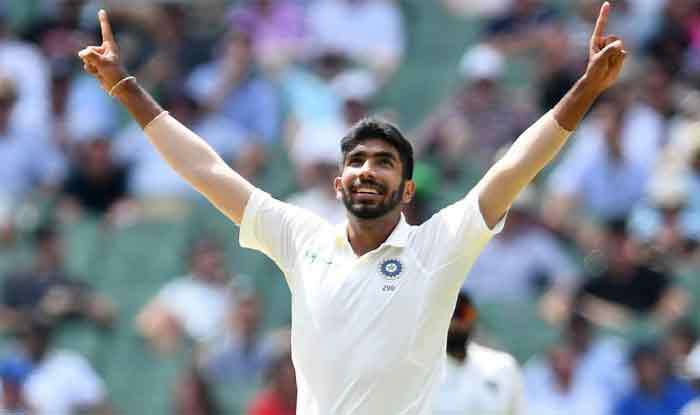 But Bumrah came up with an inspirational yorker at the stroke of lunch, and the slow dipping delivery caught Shaun Marsh plumb in front of the wicket, as Australia’s top-order was completely blown away on this third morning.